Born in Dublin, Ireland on March 1, 1848, Augustus Saint-Gaudens’s influence over American sculpture was considerable. During his apprenticeships, he attended both Cooper Union and the National Academy of Design, studying drawing. 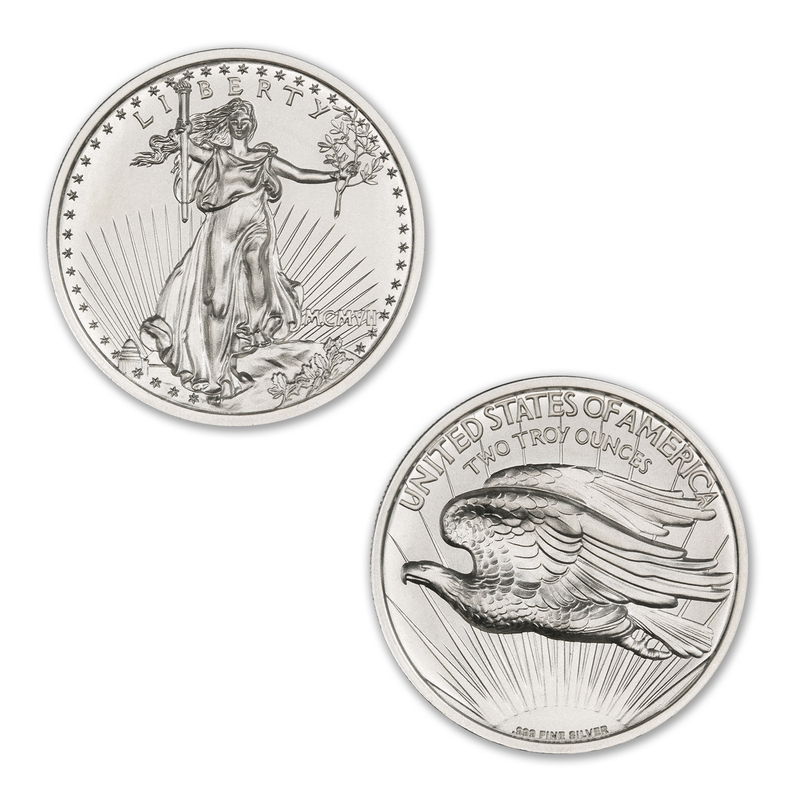 In 1867 he left for Europe where he studied in both Paris and Rome before returning to the U.S.
Saint-Gaudens took great interest in the “art of the coin”: his $20 gold piece, the double eagle coin he designed for the U.S. Mint, though it was adapted for minting was first struck in 1907, in ultra-high relief (only 20 minted). 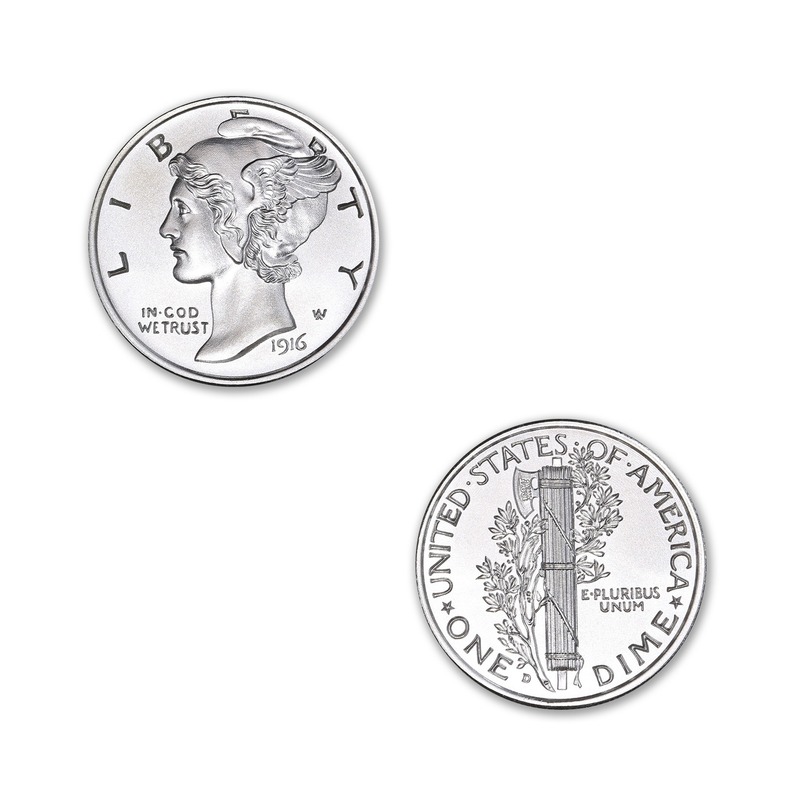 The coin took up to eleven strikes to bring up the detail. The ultra-high relief did not strike properly and was deemed impractical for commerce. 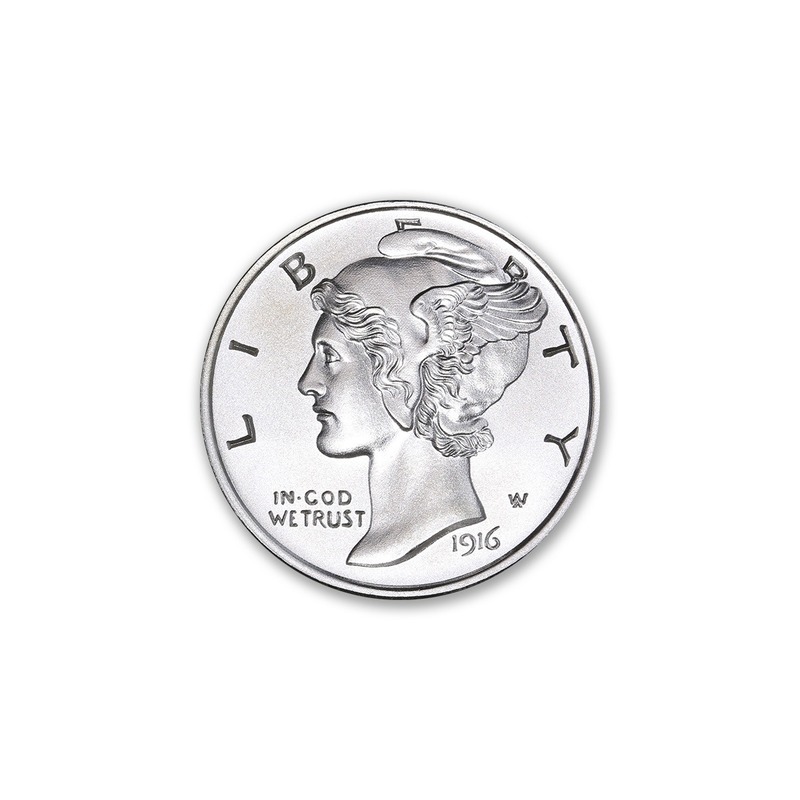 The design was then flattened and a high-relief version was minted. Even though it took eight strikes less, it was still considered impractical for commerce. 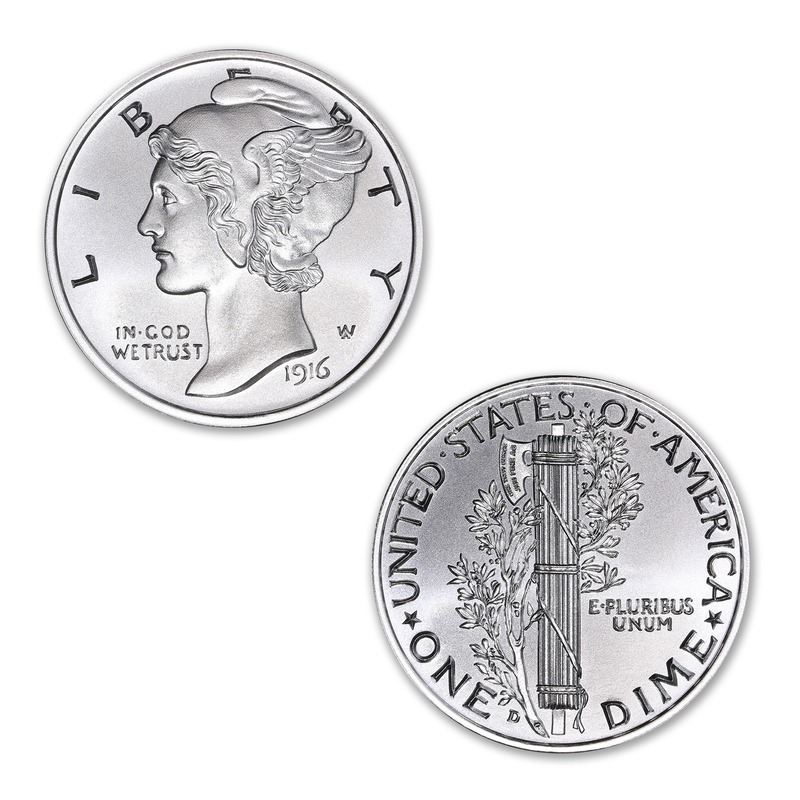 The coin was finally modified to a normal-relief version, which was minted from 1907-1933. 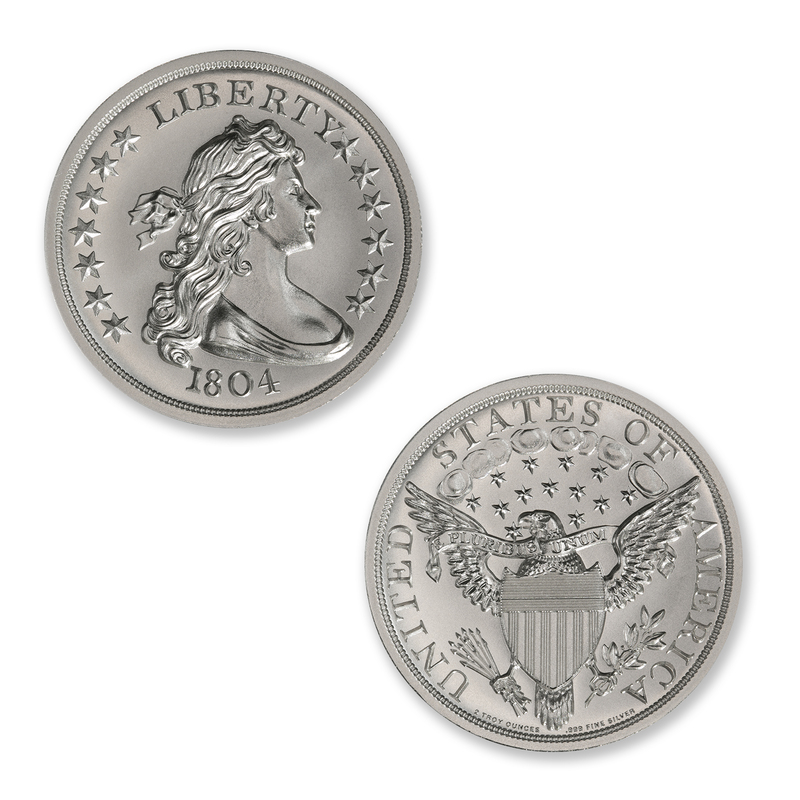 It is still considered to be one of the most beautiful American coins ever issued. 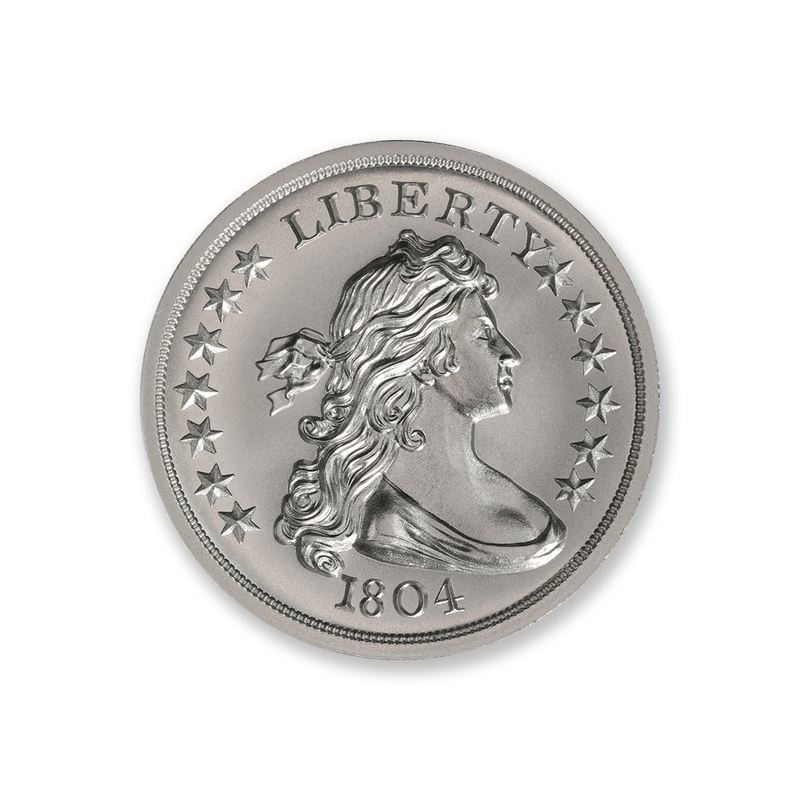 Obverse: Lady Liberty holding a torch in one hand and an olive branch in the other, stepping forward, with an array of rays behind, and a depiction of the US Capital Building to the lower left and a surround of stars and the word “LIBERTY” across the top. 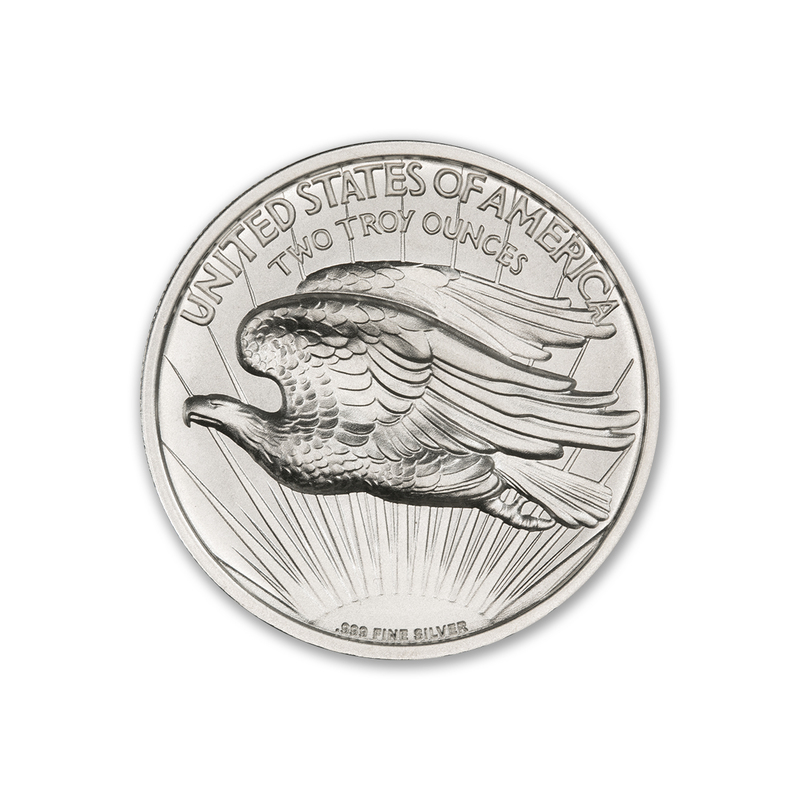 Reverse: “UNITED STATES OF AMERICA” encircling the top of the coin, and the words “TWO TROY OUNCES” just under. A left-facing eagle in flight below with a sun at the bottom and rays spreading across the entire field behind. 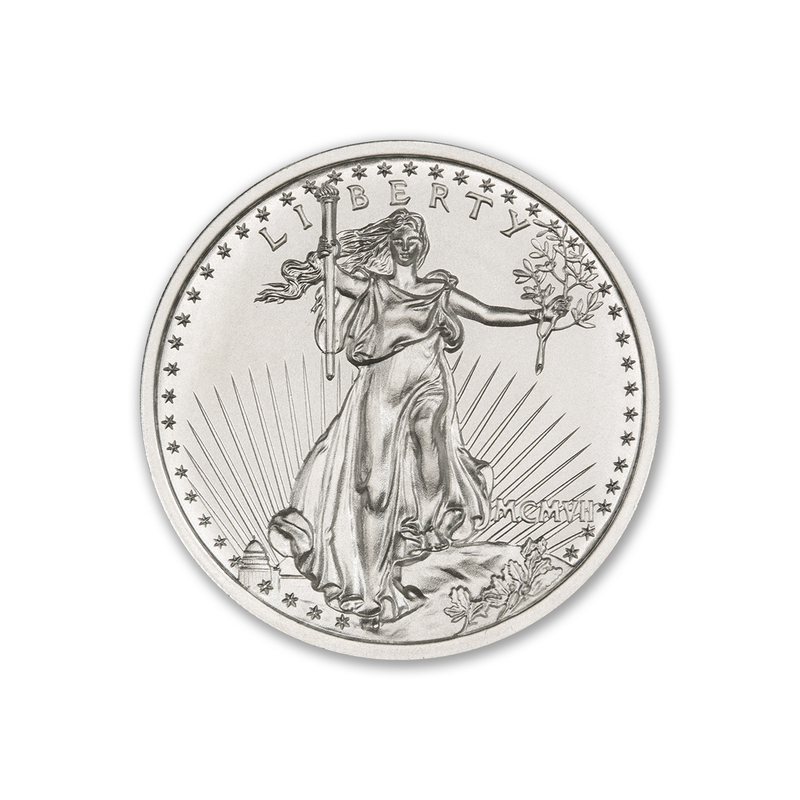 This is how a $20 Saint Gaudens high relief should look. You guys nailed it! 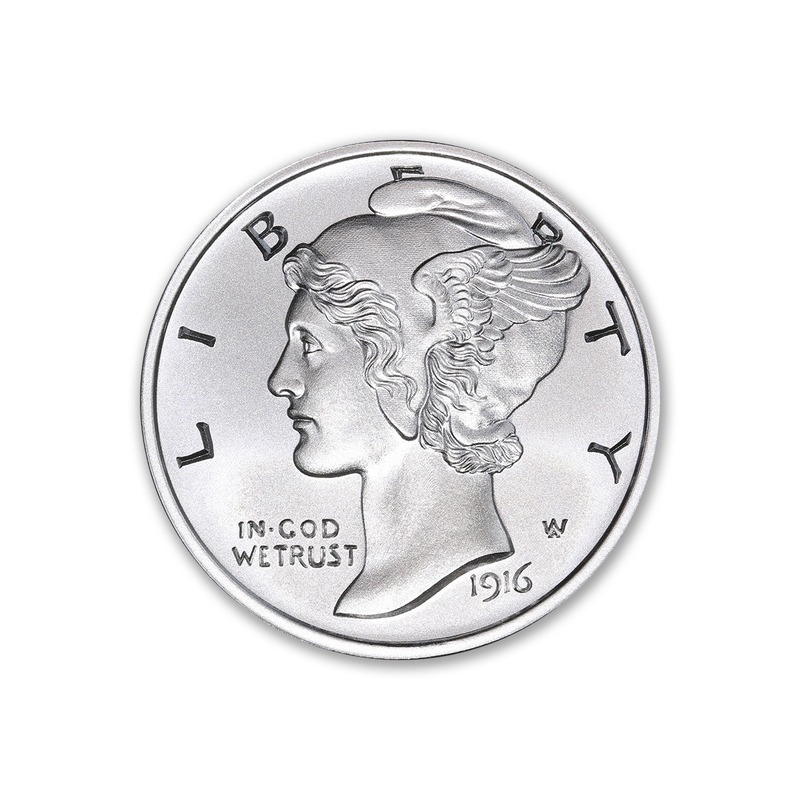 Your blowing other Mint’s out of the water with the quality and designs of your rounds.